I have this fear that someone will walk into our home and say, “What is that horrible smell?” I am always up for trying new simmering pot recipes that will make our home smell amazing and fast. Just toss the ingredients on your stove in a pot with water, and watch your home come to life. Vibrant, rich, spice-filled scents that will make your home more than ready to greet your company. They won’t ask what is the horrible smell guaranteed. These simmering pot recipes below will truly transform your home, I have a huge mix of scents below so almost anyone can find a mix they will love. If you are wondering what is a simmering pot, it is a stovetop potpourri almost. 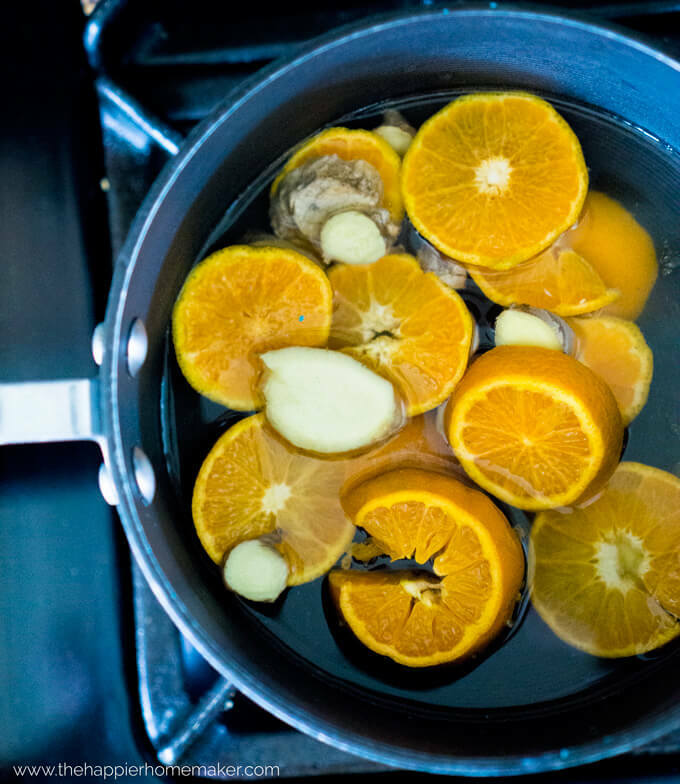 Toss in orange peels, spices, and more and then turn the pot on and watch it add fragrance to every single room in your home. You can let it simmer through the night to keep your home smelling amazing. It is a natural and fun way to dress up the scent of your home. They are addictive, trust me! Also, check out these orange peel hacks, they will blow your mind! This cold and flu simmering pot recipe is great to run when someone in your home is sick. It is very comforting, soothing and healing to the body as you all breath it in. Check out this Autumn slow cooker simmer pot, instead of the stove they created their simmer pot in the slow cooker. I love this idea and the ingredients sound like they will surely dress up the scent of your home. Get a burst of energy with this citrus simmering pot recipe. The orange and ginger together really add a vibrant fragrance that is so amazing. Great for any time of the year. This pear apple simmer pot recipe is really good as well. You have that fruity aroma paired with a hint of spices. Love this one for the fall months. Give the gift of dried fruit and spices so that loved ones can put it in a pan with water and create their own simmer pots for their home. A great gift that is affordable and unique. 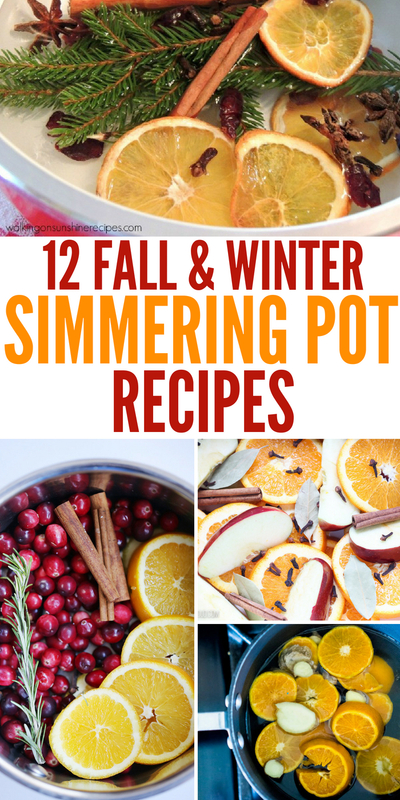 A great one to do for the holidays is this holiday simmer pot recipe. 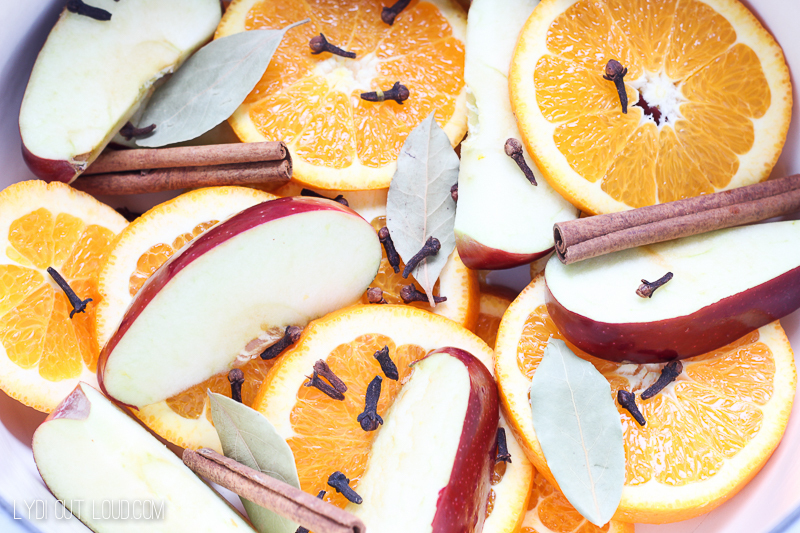 Cloves, anise, dried oranges and more give this a citrus and spiced scent. Here is another free printable label to use to create your own gift simmering pot potpourri recipe. Great for the holidays for loved ones and even coworkers. Oh, I love this winter simmering pot recipe. Really feels like you bring the outdoors in with the pine scent paired with spices and citrus. 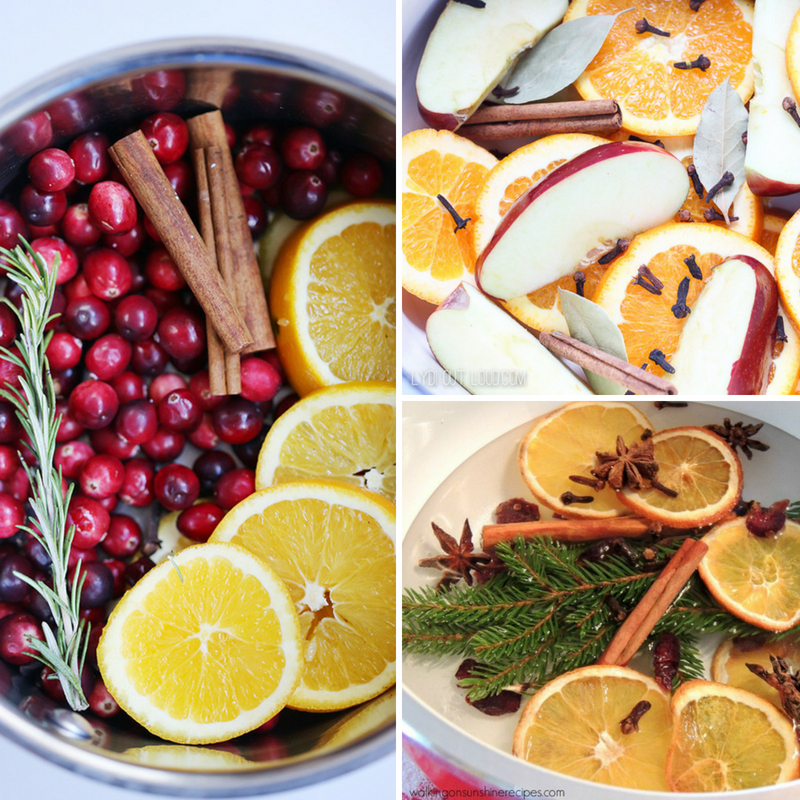 This stovetop potpourri is not only so pretty but it will make your home smell like Christmas in minutes. 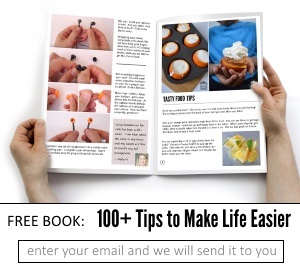 She even shares tips on how to give this as a gift to loved ones for a holiday gift. 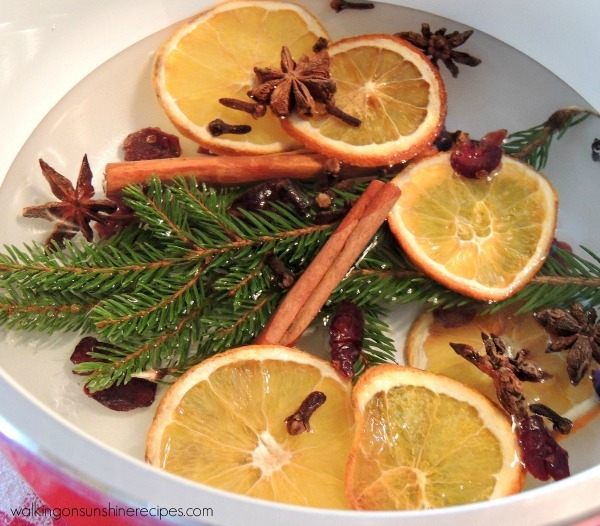 Orange spice potpourri is a very popular scent, as oranges work really well in a simmering pot, and help bring out the fragrance of the spices you use to go with it. Fall simmer pot recipe gives you a hint of apple, cinnamon, clove, and more. Really helps make your home feel like the holiday season in minutes. 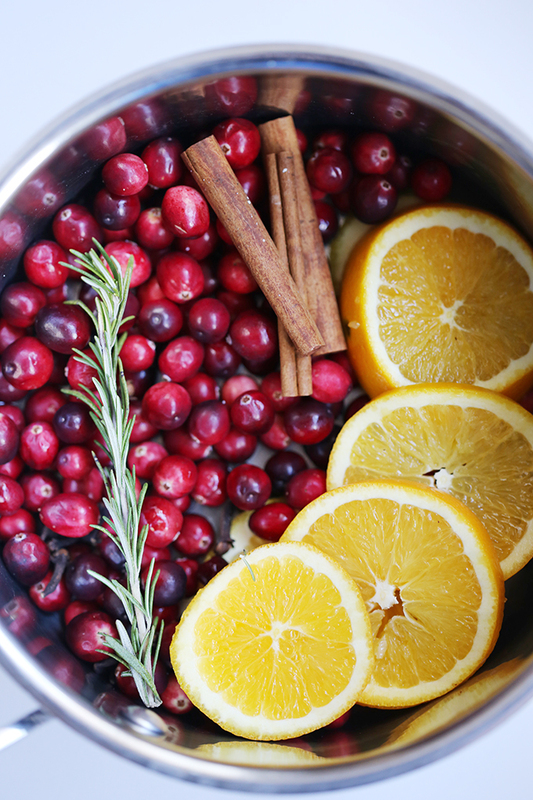 This simmering Christmas recipe uses a handful of citrus fruits, cranberries and more to really capture the scents of the season. What is one of your favorite blends to toss in a simmering pot for your home?